Will Smith and Martin Lawrence are back and sharing a motorcycle in the latest set photos from Bad Boys for Life. Fans have been waiting years to see the iconic duo back on the big screen together and these new set images make it look like their having a lot of fun bringing trouble to Atlanta and Florida while production is underway. Production started last month and we haven't really seen too many leaked set pictures of Lawrence and Smith, which is pretty surprising. The latest Bad Boys 3 set photo features Will Smith steering a Harley Davidson motorcycle while Martin Lawrence is in the sidecar. While the image does look pretty funny with Lawrence down to the side, he has his hands on a pretty big mounted machine gun. It looks like the comedic aspects of the franchise are back along with some crazy action. There are only a few shots, but it looks intense and funny at the same time, which is probably a good way to describe the previous two installments. There's even a short video of Smith on the set, which you can check out below. In addition to Will Smith and Martin Lawrence, Bad Boys 3 also stars Vanessa Hudgens, Alexander Ludwig, and Charles Melton, who are playing a modern, highly specialized police unit that ends up working with the boys down in Miami. Jacob Scipio plays the ruthless drug cartel leader, while Paola Nunez plays Rite, the tough and funny criminal psychologist. DJ Khaled also has an unspecified role. However, out of everyone, fans of the franchise are excited to see the return of Joe Pantoliano as Captain Howard. Adil El Arbi and Bilall Fallah are directing Bad Boys 3 from a script that Peter Craig, Joe Carnahan, and Chris Bremmer wrote. Arbi and Fallah are taking over for director Michael Bay who took on the first two installments and helped to make them the huge hits that they are today. When asked if making the latest installment without Bay was strange, Martin Lawrence said that it wasn't at all. He explains. "Well, it's not so strange because Bilall and Adel are doing a great job. It's just different directors, but we're still going to bring you that Bad Boys stuff." 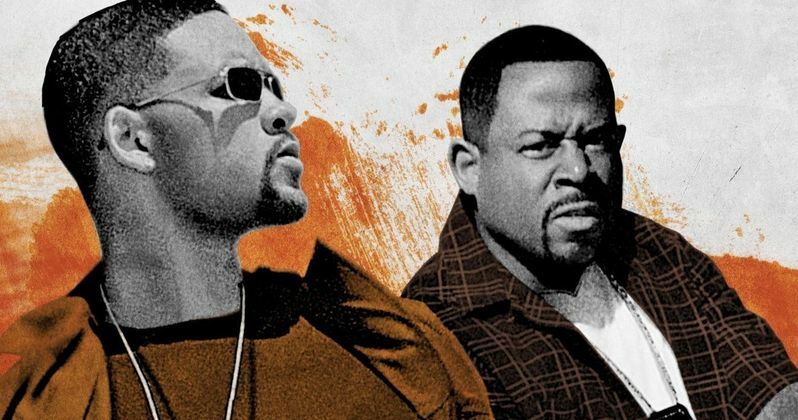 Bad Boys 3 is all set to hit theaters on January 17th, 2020. We're still pretty far away from the long awaited sequel hitting theaters, but we should start to see some promotional material for the movie by this summer in an effort to get fans ready. With that being said, these leaked images from the set should get some fans pretty excited for the return of Will Smith and Martin Lawrence, especially since they're sharing a Harley Davidson motorcycle with a mounted machine gun and sidecar. Things are looking like they're going to get very interesting. You can check out some of the leaked Bad Boys 3 photos below, thanks to the Hollywood Pipeline Instagram account.